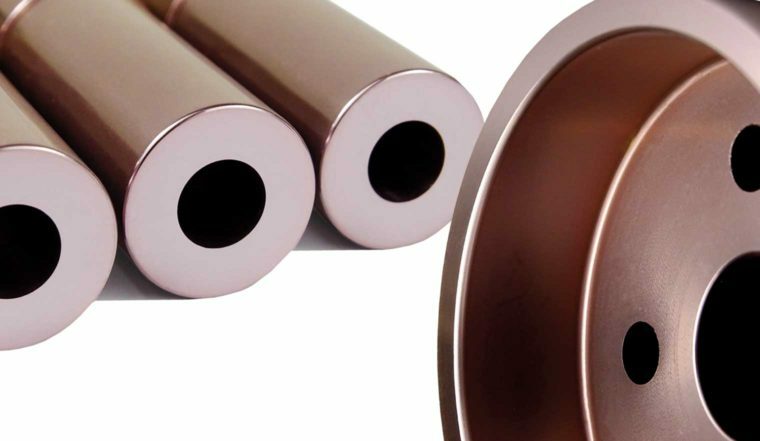 Doubly Effective for Metal Forming & Co.
Our Duplex treatment consists of a thermo-chemical process (plasma nitriding), combined with the deposition of an Eifeler PVD coat immediately afterwards. This combined method (two steps in one process) yields a defined increase in surface hardness of the tool material. Therefore, it significantly improves the PVD coating’s performance. 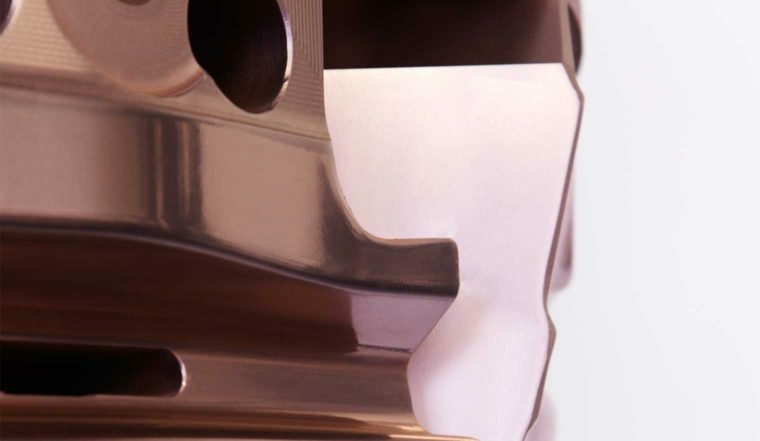 Especially in the field of metal forming, the Duplex treatment is a high-performing alternative to CVD coatings – not least due to the significantly shorter processing / delivery times (three to five work days). In the course of the Duplex treatment, the ideal formation of a hardness gradient happens from the tool’s core over the edge area to the tool’s surface. This and the fact that the coating temperature is below 500° C yields numerous positive effects – e.g. 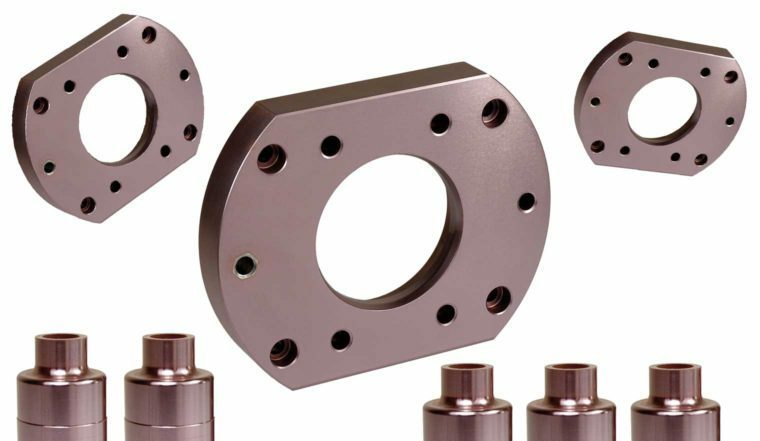 for the machining of high-tensile sheet metal. Optimally preparing a surface is essential for the maximum performance and excellent surface quality the Duplex method offers. This is why we naturally rely on the latest technology when it comes to pre-treatment systems. If required, we will process an additional surface polishing for truly special needs. Information on this is available under “Special surface polish” in the Services menu section. 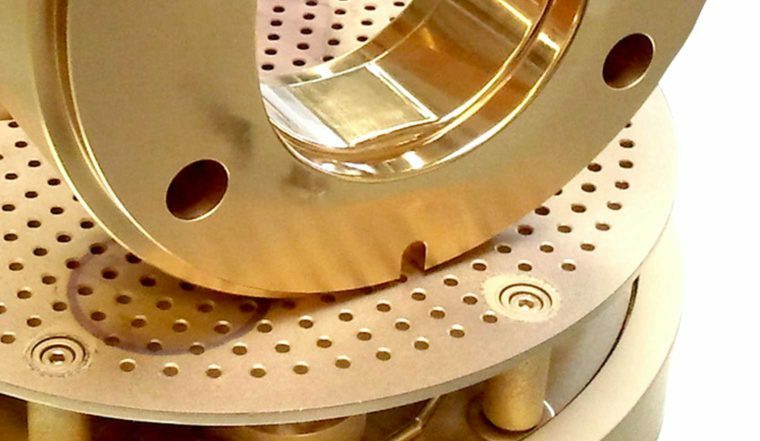 Duplex PVD is used for demands that would bring standard PVD coats to the limits of their capacities. All coatable and nitritable steel materials are suited for Duplex treatment. This method is already well-established in the field of tools for the forming of high-strength sheet metal materials as well as the fields of deep drawing, punching, bending and pressing. In these areas, Duplex PVD yields extremely high endurance. For these purposes, the thermo-chemical process is used in combination with the VARIANTIC, EXXTRAL form 2.0 or TiN coating systems. But it can also be combined with other coating systems. Just contact us – we gladly advise you on the scope of application of the DUPLEX treatment for your area of application!